« It’s not a lootship if it’s sinking. 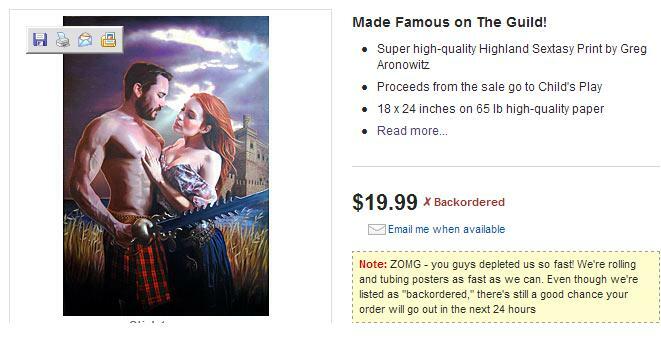 Fawkes and Codex poster – sold out already.. I think it would look perfect on my bedroom Computer room wall. I jest – maybe TMI for your more scary local fans though? I don’t have any scary local fans though.. well not scary enough that I know about them, and it’s the bad boy thing.. Curious minds want to know! Are you “bedrooming” the Codex or the Fawkes? (Yes, I realize a lot of your post and replies deal with Fawkes… but don’t forget Codex has red curtains and carpet!). Still in with a chance!